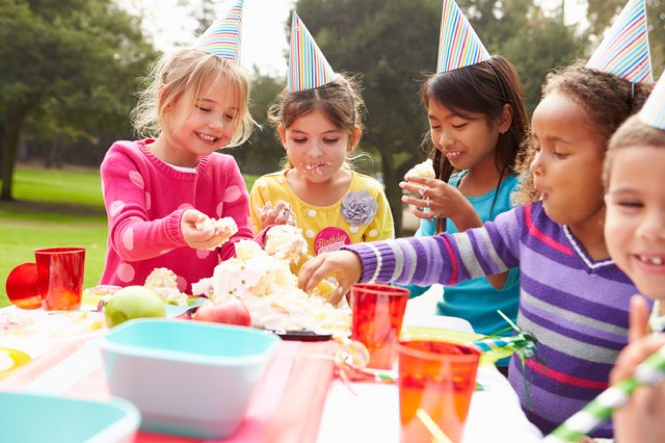 Summer is almost here and, for many parents, that means lots of time outside with their kids enjoying the warm weather and having fun at outdoor picnics, neighborhood barbeques, and birthday parties. But, when it comes to savoring your favorite summertime foods outdoors, that also means MORE risk for foodborne illness and its potentially harmful health consequences. That’s why it’s even more important to be EXTRA diligent about practicing good food safety habits in the summer. Don’t worry, parents, we’ve got you covered! By taking just a few minutes right now to review 7 of the most important summer food safety behaviors, you’ll be doing A LOT to prevent your kids, you, and others from eating contaminated food. Tip #1: Use an insulated cooler. For transporting and storing your perishable foods outside, an insulated cooler is a must. When getting your cooler ready, fill it with PLENTY of ice and/or frozen gel packs to keep perishable food cold and to safely store leftovers. When traveling around with your cooler, keep it stored in the air conditioned area of your car—not the hot trunk. And remember: Keep your cooler OUT of direct sunlight. Be sure to place it in the shade or a covered area during your party or picnic. Tip #2: Use two coolers. One cooler should be packed with ONLY raw meats, poultry, and seafood. Fill your second cooler with any other perishable foods that need to be kept cold. Again, surround your foods with lots of ice. Make packing up for your outing FUN by including your kids in the discussion on why this is important and invite them to help pack the coolers. Tip #3: Wash your hands (or do the next best thing). When cooking outdoors, do your best to find a restroom where you can wash your hands before and after handling your food. And bring your kids, too! This is a great time to explain why proper hand-washing is so vital to food safety. If you don’t have access to a restroom, use hand sanitizer to help keep your hands bacteria-free. Be sure to use one that has 60% or higher alcohol content. Tip #4: Separate cooked and raw foods. When you’re getting ready to fire up the grill, use one plate for your raw foods and a separate, clean plate for the cooked foods. This rule applies for your serving utensils, too. Tip #5: Dump marinades used with raw meats. After marinating your raw meats, you need to throw away any leftover marinade. Do not use it again on cooked foods. If your marinade is doubling as a sauce for cooked meats, be sure to put some aside before using the marinade for raw meats. Tip #6: Use a meat thermometer. To make absolutely sure your grilled foods are cooked to a safe temperature that will destroy harmful pathogens, use a meat thermometer. Involve your kids here, too, by teaching them the importance of using a meat thermometer and show them how to check your grilled goodies with it. Tip #7: Know when to throw out leftovers. Any perishable food like cooked meats and salads should NEVER be kept after having been left out at room temperature for over two hours. When you’re outside and the weather is 90°F or above, the timeframe is just ONE HOUR. Be sure to TOSS OUT any food if it goes beyond those time limits.